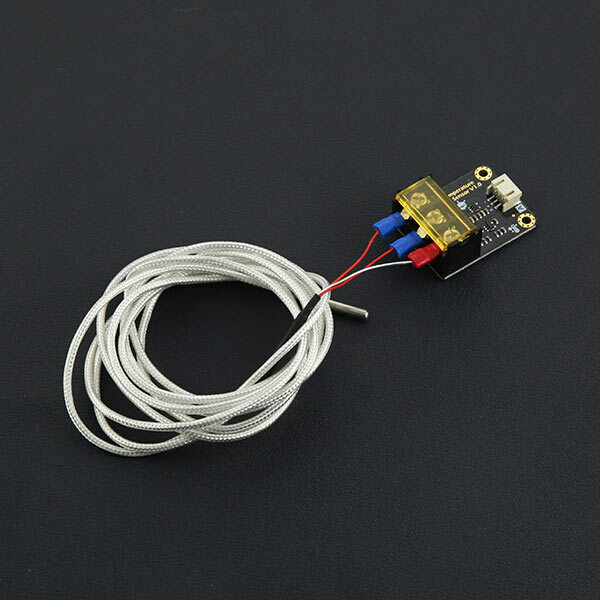 What do you do when you want to measure the temperature?Most of people may be think of DS18B20 temperature sensor first.But DS18B20 temperature sensor can only measure the temperature within 125 degrees. After more than 125 degrees, you need to use other sensors.In order to measure the high temperature above 100 degrees,So we choose the PT100 resistance type high temperature probe which is industry commonly used as our sensor probe.Through our high temperature module,We can achieve 30-350 degree range of temperature detection.Our modules are compatible with the input voltage of 3.3V-5.5V, so ARDUINO and STM32 and other MCU are able to use our modules. 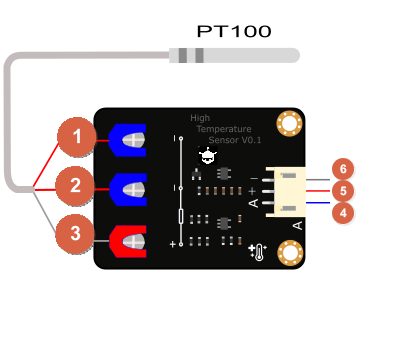 This tutorial will describe you how to use the high temperature sensor module and PT100. HighTemperatureSensor libraries About Library installation. 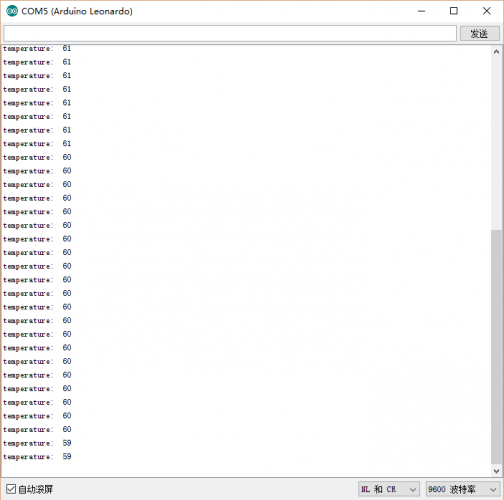 Before downloading the program, you must know the reference voltage of the analog port.If your board supply voltage is 3.3V, then you need change voltageRef which is in sample code from 5.000 rto 3.300,If your board supply voltage is 5.0V,then set voltageRef to 5.000。If you want a higher precision,Then you need to measure the voltage of the IOREF port and set that voltage to as voltageRef . 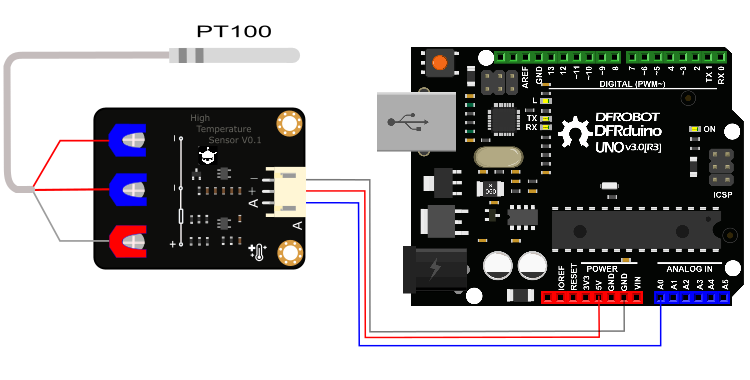 This example reads HighTemperature Sensor. const float voltageRef = 5.000; //Set reference voltage,you need test your IOREF voltage. 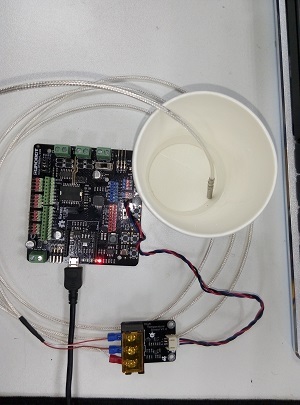 Get Gravity: Analog High Temperature Sensor from DFRobot Store or DFRobot Distributor.